The bear went over the mountain... The Bike Alpin 25+5 is designed for monstrous challenges and offers plenty of space for everything you'll need on your next transalp or multi-day mountain biking adventure. 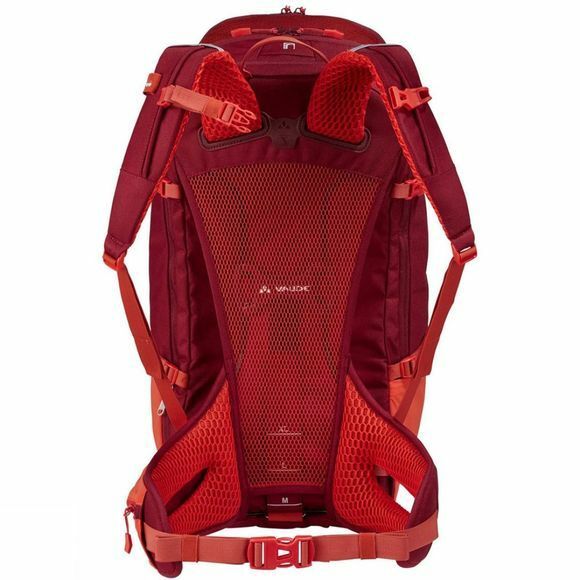 An exceptional suspension system and rear-ventilated back provide maximum comfort even on long, sweat-inducing rides; clever details such as the weatherproof, padded GPS/smartphone compartment under the rain cover and the easy-to-access tool compartment ensure bike-friendly handling even on long tours. 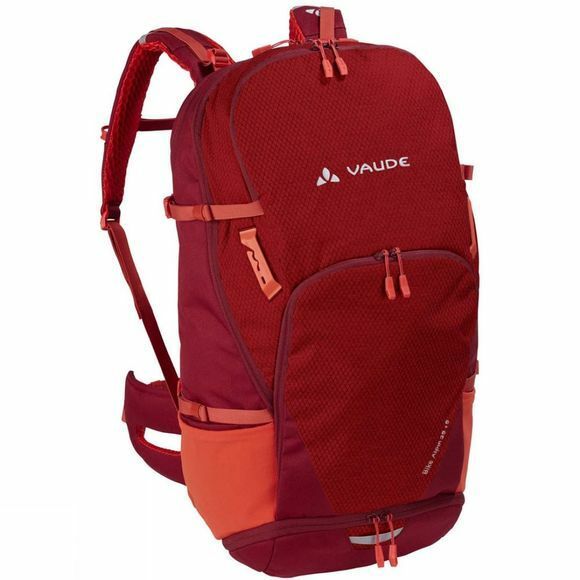 30 liters of volume is divided into a large main compartment, a front compartment with organizer mesh pockets and a separate bottom compartment for a better overview. You can expand the volume another 5 liters with a zip for even more space in the Bike Alpin 25+5. The entire Bike Alpin series features environmentally-friendly manufacturing in accordance with the Greenshape 2.0 criteria to perfectly round off the concept of this biking multi-talent.